Researchers have developed a molecular imaging technique that could save lives by revealing troublesome thrombi, or blood clots. 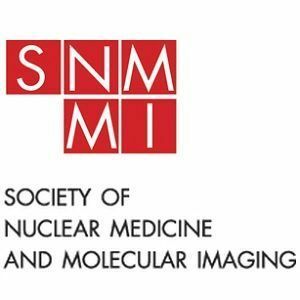 Their work was presented at the 2015 annual meeting of the Society of Nuclear Medicine and Molecular Imaging (SNMMI). "Thrombosis is the underlying cause of deadly diseases such as stroke, pulmonary embolism, deep vein thrombosis and heart attack, which affect millions of people worldwide," says the study's lead author Francesco Blasi, PhD, from the A. A. Martinos Center for Biomedical Imaging in the department of radiology at the Massachusetts General Hospital in Charlestown, Mass. 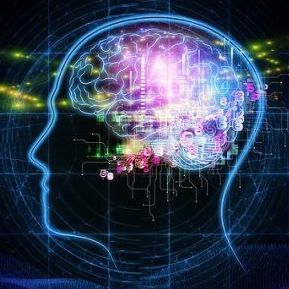 The study focused on a method of positron emission tomography (PET), which images bodily functions. PET imaging is performed with the aid of injected radiotracers, also called probes or imaging agents, that combine radioactive material with a drug compound in order to target a physiological process associated with a disease. The radioactive particles emitted by the tracer are then detected by a special camera and displayed as "hot spots" in a reconstructed image of the body. For this preclinical study, Dr. Blasi and colleagues tested the tracer Cu-64 FBP8, which binds to fibrin, a main constituent of blood clots. PET imaging was performed on rats injected with the radiotracer either one, three or seven days following the development of thrombosis in either the arteries or the veins. Results of the study revealed that Cu-64 FBP8 was more than 97 percent accurate for pinpointing thrombi throughout the body. The PET probe was sensitive to changes in the fibrin content of thrombi, which reflects thrombus age and could help clinicians choose more appropriate treatments. According to researchers, the probe was able to find elusive lung emboli as well as deep vein thrombi, particularly risky clots found deep inside the legs and obscured by large muscles and bone. "If approved, fibrin-specific PET could facilitate diagnosis, guide therapeutic choices, and help physicians monitor their patients' treatment," says Peter Caravan, PhD, the study's principal investigator. "This technique also offers full-body detection of thrombi with a single injection of probe, instead of the current imaging standards, which are limited to specific parts of the body. A one-time, whole-body scan could prevent unnecessary procedures and uncover hidden thrombi before they generate a deadly embolism." Contingent on approval by the FDA, Dr. Blasi and his team expect to conduct a first-in-human study of FBP8-PET as soon as this fall. 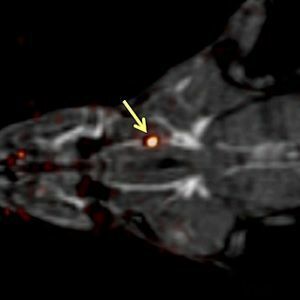 healthmanagement, thrombosis, blood clots, PET, agents, positron emission tomography Researchers have developed a molecular imaging technique that could save lives by revealing troublesome thrombi, or blood clots.